How to Display Last Updated Posts in Sidebar? There are 4 important parts of a blog, Header, Footer, Content Area and Sidebar. Header is mostly used for menus, Logo and a small horizontal banner. Footer is for copyright info, footer widgets and few links etc. Content Area is used for displaying post index. And at last Sidebar is used basically to show banner ads, social follow buttons, to show popular posts, to show top commenters and similar kind of things. Sidebar can be used effectively to increase a blog’s page views and to reduce bounce rates to a greater extent. You might have noticed that most of the bloggers use popular posts or random posts widget in sidebar to grab readers’ attention to these posts. Most probably they click to check them out. This results into more page views. It’s good to show readers that this is an old post which has been updated on particular date. It’s well enough though I think that when a user goes to a post then only he/she can see this, right? So what if we give users an option in sidebar which shows the latest modified or updated post? Isn’t it a cool idea? This is awesome as I can display a number posts which has been recently modified or updated so that readers would be aware too that this post got some modification or updates. It provokes them to click and see which further result into more page views and lesser bounce rates. But the question is how to do it? Because you cannot add the posts manually every time, you need something that can fetch those updated posts automatically and lists in the sidebar. As I am using WordPress I started searching for a plugin when the idea of displaying last updated posts in sidebar hit my mind. And as you know there are awesome list of plugins available in wordpress repository, I found a plugin named as Last Updated which does this task simply without any hassle. Click here to download the plugin. After downloading it on your computer system, go to your blog’s dashboard, click on Plugins >> add new >> upload plugin >> Locate the plugin file in file uploaded and click on Install now. Once it is installed, activate it then go to Appearance >> Widgets. You will find there “last updated” widget. Drag it to your active sidebar and set the options as per your choice. Sidebar is an important part of the blog so use it smartly and effectively. This plugin is able show those older posts which you have modified. 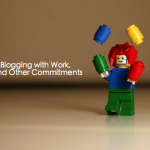 This indirectly helps your blog getting better page views. I am sure you loved the plugin. Install it, use it and share your views with me via comments. 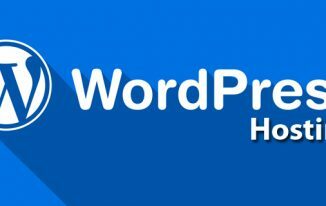 What Makes WordPress Hosting an SEO-Friendly Hosting Solution? 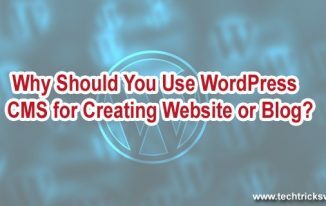 Why Should You Use WordPress CMS for Creating Website or Blog? It is very useful to show the last updated posts to the visitors. But my doubt is what is the difference between using recent posts and last updated posts. recent posts are those which published recently but last updated posts are those which have been published years ago but you have modified recently. Different themes have different options Swadhin. To maintain the liveliness of the blog, we should edit the old posts. After editing, we do shared the modified posts share in social media. But displaying the updated posts in the sidebar of the blog seems interesting and fine. I’ll download this plugin for my blog. Thanks for sharing this information Atish. Good to know that you liked this plugin. Let me know if you need any help in setting up. 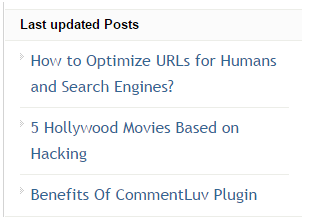 Well I have already used recent posts widget on my blogs never knew we also use updated posts widget. It kinda cool and will be very helpful. Good to know that you have learnt something new today. Thanks for Shari g this info. Great! Do share your views once you set this up on your blog. This is the first time I am visiting your blog even though you were there in my Facebook friend list for a long time. I don’t know whether you noticed me or not. Thanks for sharing this valuable information as I like to try the plug-in my blog. I will keep coming back to your blog as I find it very informative. I don’t use Facebook a lot so I might not noticed but as you are on my blog, I won’t forget you. Welcome to my blog. This plugin is surely be a good one. Try it. This plugin can be used in any theme or any framework? Is their any restrictions? That I haven’t checked as I am not using any framework for this blog. But I am sure it can work well with thesis and genesis too. You just install it and I am sure there will not be any issue. Hi Atish, great tutorial. That’s another very useful WordPress plugin. And do you have any idea how to show the last updated posts on the homepage? We can show on the home page by using either shortcode or custom code in index.php file. I get more information afer reading your post.This post is helpful for all Bloggers.All tips are nice. Thank You so much. Thanks for dropping by Syed! Please put your name in the name field rather than putting up your website name. Wow, what an excellent article. I was not aware of this plug-in, and will have to check it out. Currently I have strategically coded a widget in my sidebar to show the blog posts that I would like to have people visit the most. Your inclusion of the screenshots is great because a lot of people are visual learners and this helps them to know what to expect. Thank you so much for sharing, and I hope you have a wonderful evening. Good to see you again on my blog. You made my day by saying so. I am happy that you loved the information shared. My website not have last update widget in my sidebar, is it beneficial or not? if we put this widget into sidebar.. It can be greatly beneficial. Try adding it and see if your last modified articles are getting views. Sarah Lusby recently posted…New Year, Old Strategy? Thanks that you stopped by. Happy to be here again with my result! I installed the plugin and its working fantastic! and later they did a clean up, the site re-installed. today while installing this plugin i found the plugin in my dashboard, can I activate it again or how can I go for the latest version, or which plugin is safe this? Account suspended is what showing when you install clicktotweet plugin? 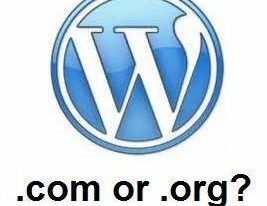 If it is the case then please ask your hosting provider. Many a time few plugins don’t get supported by some hosts due usage of some codes which are not supported by the server. So first confirm with them then only take further step. or what is the other alternative for this plugin? Do you use twitter plugin? I never used clicktotweet so I am not aware of alternatives. Try Googling. Great post! Recently I’ve been working on sidebar on my blog and I’ve tweaked a bit to get more conversion rates. And your post is so timely and packed with great tips to showcase last update posts on the sidebar. It’s also useful to show them in the footer section if your sidebar is too much cluttered! Thank you so much for reading my post and I am happy that it is helpful to you. Yes, you can even display it in the footer as well. Hello Atish, This plugin very useful To Display Last Updated Posts in Sidebar in a site. Very interesting as well. Thank you. Thanks for dropping your words Biplob. Great article , i have a wordpress website but iam not using sidebar plugin.. But last update sidebar is very important…good i like this post, thanks for sharing this post atish…. Glad you liked the post James. Thanks Ranjan for providing this trick. Actually, I did not know that we can add such widgets but now this is the end of my searches. Because this tutorial is easy to understand and easy to follow. Great piece of content, I am searching for commetluv enabled blog, and I got your result then I decided to read this post and let me tell you one thing is that this article is full of information for newbie even for the profesional blogger. Thanks for sharing this wonderful article … I have a WordPress blog but I haven’t done much on it… I’ll use mentioned plugins to increase traffic and quality of the content… Thanks for sharing this article. Blogging With Full Time Day Job, Is it Easy? What is USB Type C? 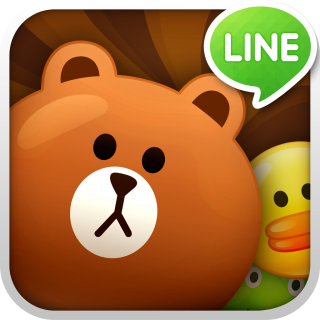 LINE App:Bid a Good Bye to Communication Gaps!